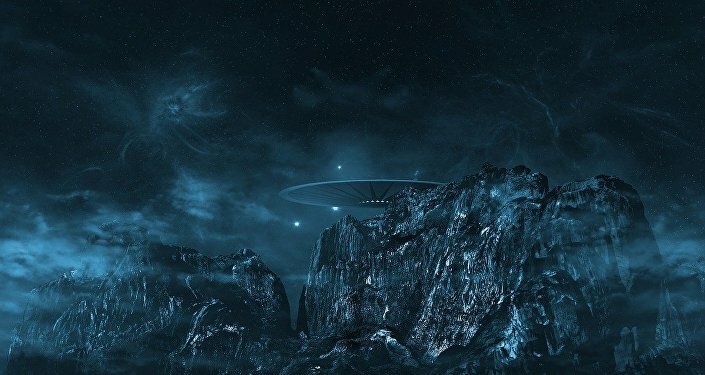 Commenting on the alleged evidence of the “Alaskan pyramid’s” existence, a prominent conspiracy theorist speculated that the existence of this edifice was covered up by the government because otherwise “we would have to completely rewrite the science of human origins”. A nuclear blast that occurred in China nearly thirty years ago apparently led to a surprising discovery hundreds of kilometres away, in Alaska, where US government seismometers detected some peculiar geological anomalies, which in turn led a number of dedicated enthusiasts to pursue claims of a massive pyramid located far below the surface of the frozen peninsula. According to the newspaper, citing the History Channel’s Ancient Aliens TV show, journalist Linda Moulton Howe was contacted by an ex-naval worker who told her on condition of anonymity that his father, an engineer, was able to see the pyramid while he was working on a top secret government project. "His father had a Navy career and then was asked to continue to work in Alaska on a very special project that involves something underground that put out a lot of energy", she said. "He would go down to the base of a huge pyramid using the elevators. His work was to try to understand how this was giving off what they estimated as a gigantic amount of energy. But he never would talk, because this was a government secret". David Wilcock, American author and conspiracy theorist who was also featured in the documentary, further insisted that "something was found there in Alaska" and that the government attempted to conceal this find. "I think the reason why it has been covered up is that we would have to completely rewrite the science of human origins", he said. "The concept that at one point there was a global industrialised civilisation that had reached a technology that in fact superior to our own because we cannot easily build pyramids like this today." Earlier this month, Assistant Professor Matthew Peeples at the School of Human Evolution and Social Change at Arizona State University stated that aliens have never visited Earth to help human civilisations, arguing that theories that claim otherwise often neglect to take a systematic and scientific approach to research, as well as to facts and observations.